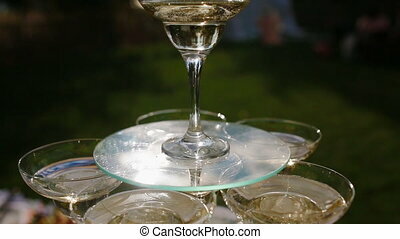 Closeup wineglass outdoor. 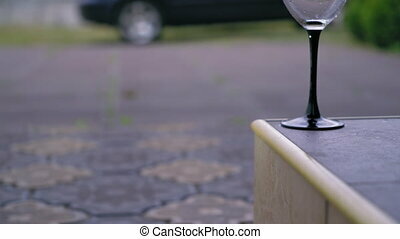 Close up wine glass outdoors. goblet with white alcohol. 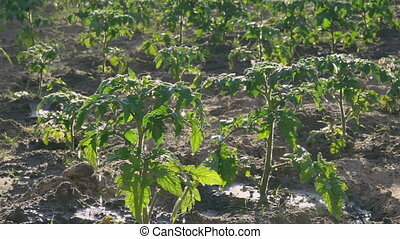 on the background green bushes and car. 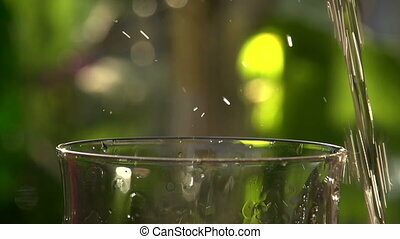 Close up wine glass outdoors. Goblet with white alcohol. On the background green bushes and car. 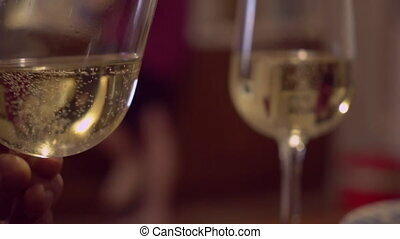 A man holding a glass of white wine, closeup. 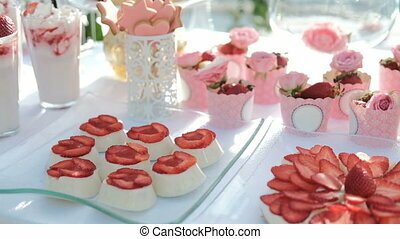 Sugary appetizers and strawberries on white table outdoor. 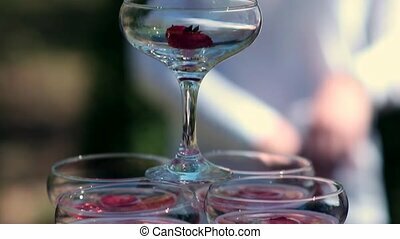 Light jelly decorated with fresh cut berries, cookies on sticks in carved vases, creamy cheesecakes and strawberries spread out over paper cups with pink little roses. Delicious sweets lie on glass plates on large desk covered with snow-white tablecloth. 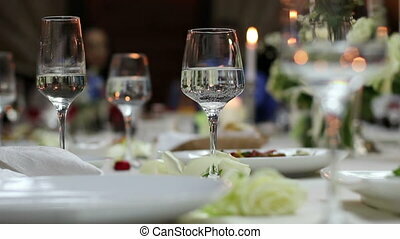 Glare of the azure ocean on background of which buffet table is standing are reflected transparent wineglass. 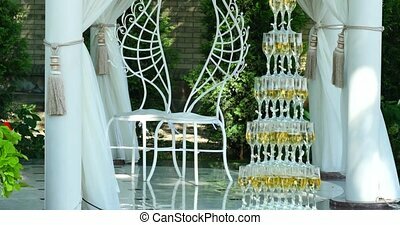 Pyramid of glasses for champagne at outdoor garden in wedding ceremony. 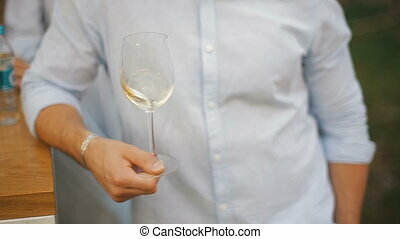 A man tasting a glass of white wine. 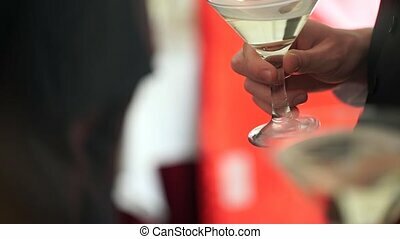 Men shakes white wine in a transparent wineglass. 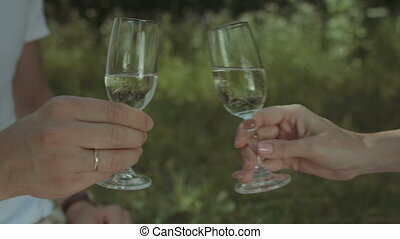 Closeup hands cheering with glasses of champagne during romantic date in public park. 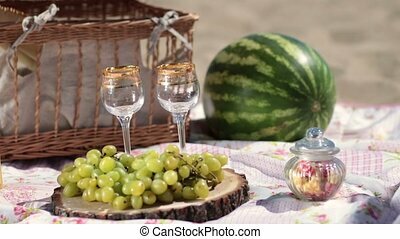 Couple toasting with glasses of white wine while enjoying leisure outdoors on summer sunny day. 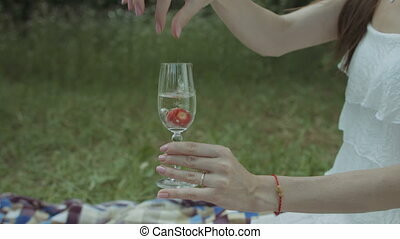 Closeup of female hand with perfect manicure dropping fresh red strawberry into glass of champagne during picnic in public park. 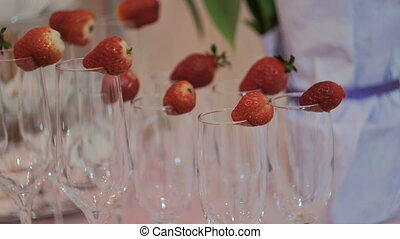 Fresh ripe strawberry floating into glass of sparkling champagne. A pyramid of glasses with champagne in sunlight. Beautiful sparkles. 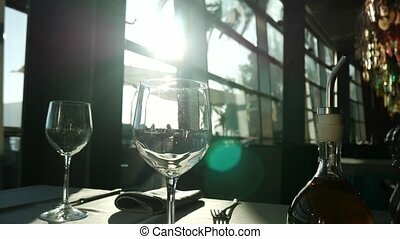 Glare of sun in an empty glass. 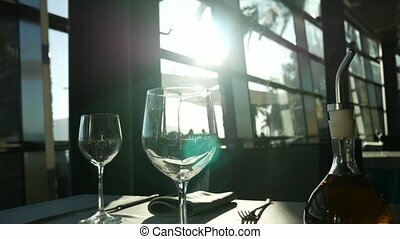 Glasses on a table at a restaurant. The interior of the cafe. 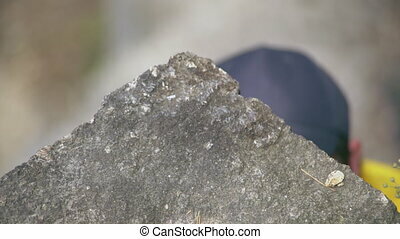 Close up climber hands holding rock. Man alpinist try to pull up on top mountain. caucasian mountaineer wearing yellow shirt, cap, gloves. 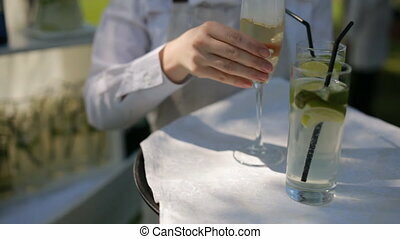 Male hand holding glass with champagne. Goblet on the table. 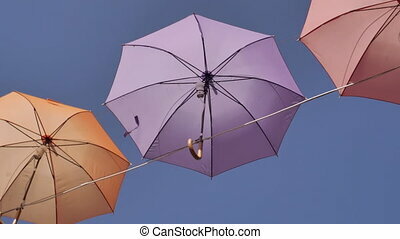 Close up view on bright umbrellas in sky in sun shine. 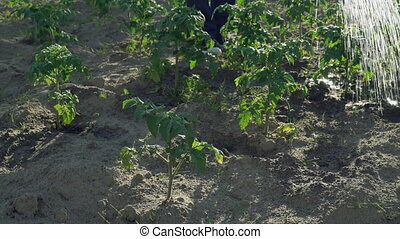 Unrecognizable woman watering bushes of tomatoes in the garden. 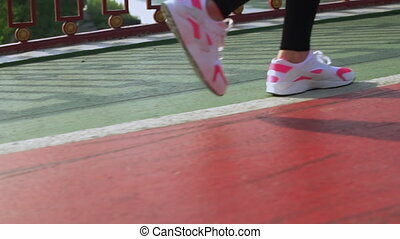 Close up details woman legs shod sneakers walking along the beds on the ground. caucasian young man holding dog and take selfie portrait. 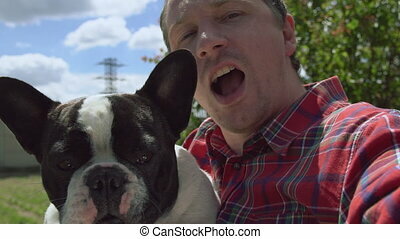 Male having fun looking at the camera with french bulldog laughing and talking. Guy with pet outdoors in sunny day slow motion. 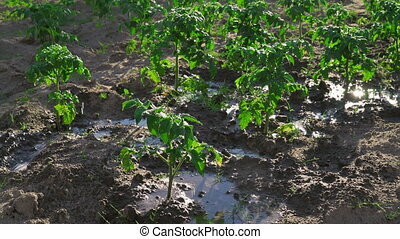 Active lifestyle outdoor. Metal ball drops near red. 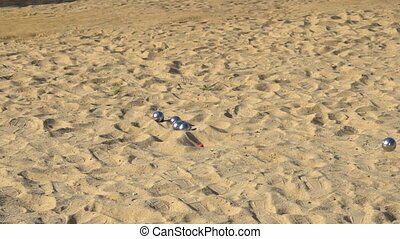 Petanque game at the beach. 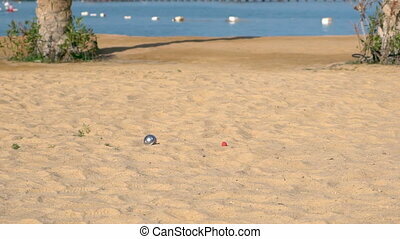 French game petanque. Four metal balls on the sand the fifth ball falls nearby. 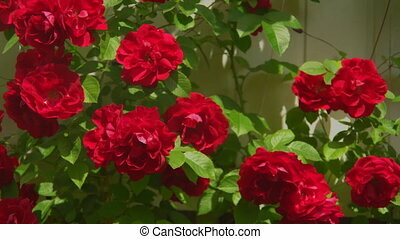 Closeup.